One of the new features that Azure SQL Database V12 offers in terms of troubleshooting query performance is the new Query Store feature, which is part of SQL Server 2016 too. Let's see how to enable it and how to start using it on this brief article. 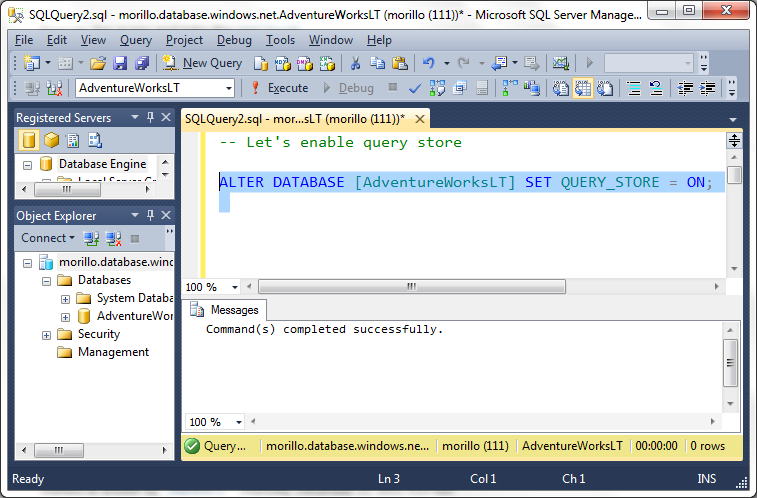 For the purpose of this article, we will be using the AdventureWorksLT sample database. Make a click here to know how to install it. 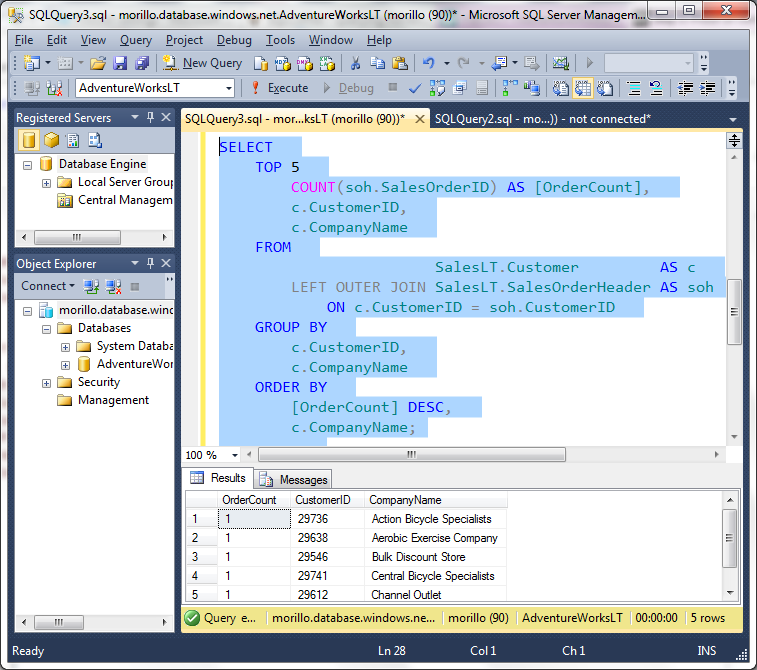 To enable Query Store, first connect to the SQL Azure database using SQL Server Management Studio and the use the ALTER DATABASE statement as shown on below image. 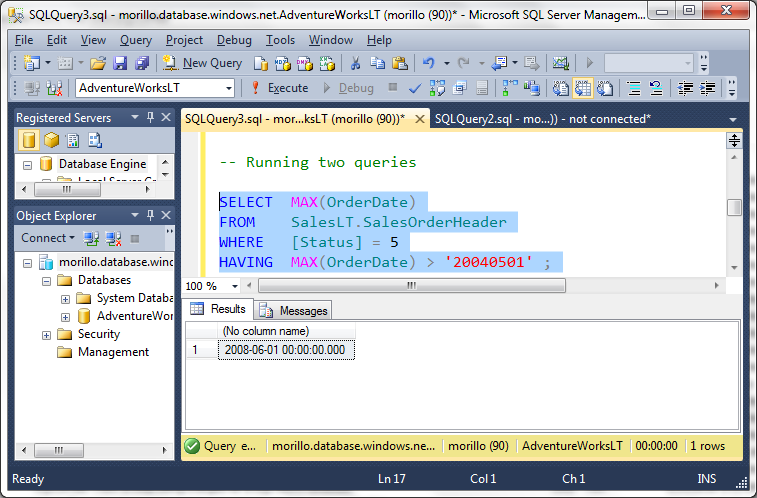 Let's see how the Query Store captured those queries with below query. 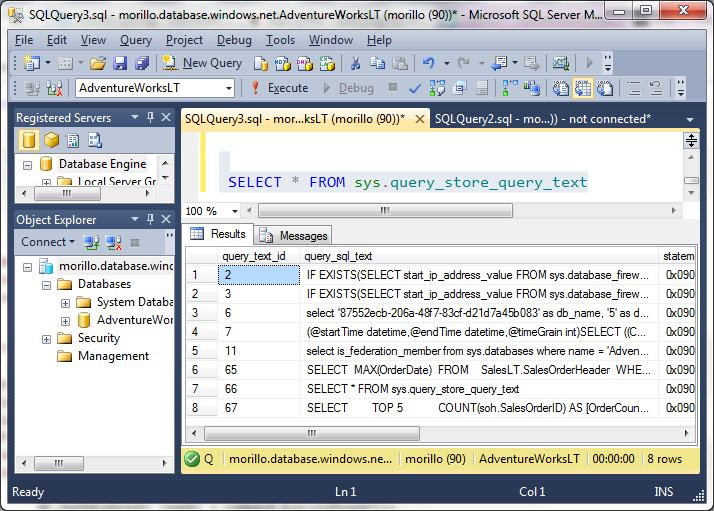 As shown on above image, the Query Store captured both queries (rows 6 and 8). 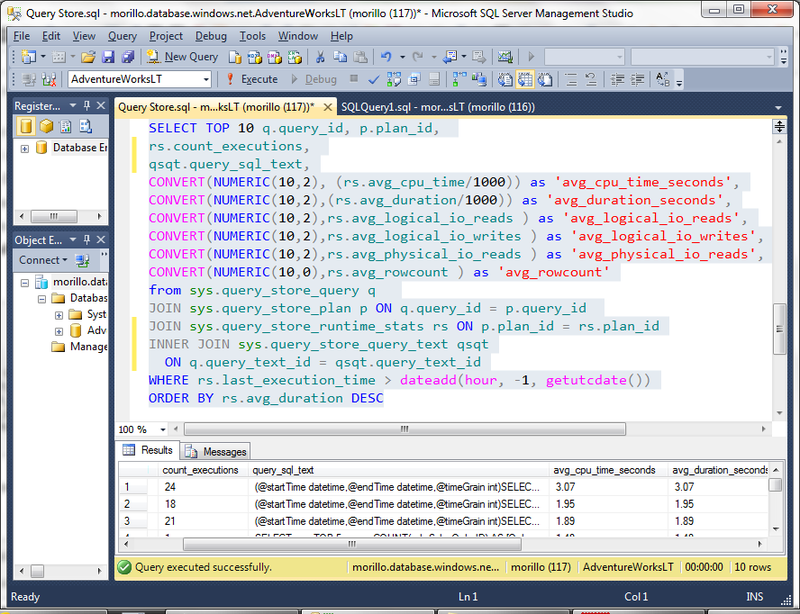 Now on below image, we obtain from the Query Store the top 10 long running queries. Query Store: A flight data recorder for your database.